20 PC. 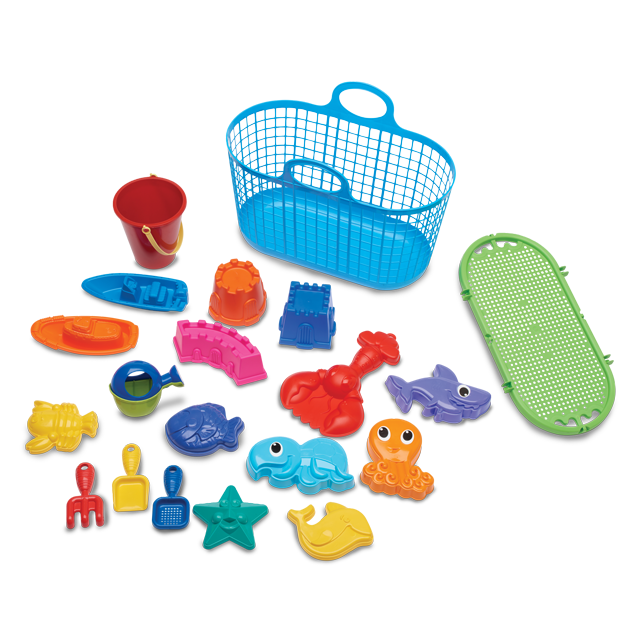 BEACH BASKET | American Plastic Toys Inc. This handy beach basket has everything! The set includes a lid, which doubles as a sieve. The roomy basket holds a pail, two boats, three hand tools, three castle molds, three large sand shapes, four medium sand shapes, a large character shovel, and a sprinkling can.